If you're a hunter, fall is the most wonderful time of the year - even though the earliest hunts come in what is really late summer. 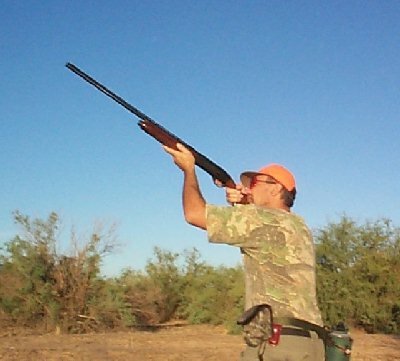 Nevertheless, the traditional kick-off to Arizona's fall hunting season is the September 1st dove opener. Ever since Brad Birdsell and Mike Hodge took me down to the Game and Fish Department's Powers Butte wildlife area back in 1993, I've been going back year after year for the dove opener. In the last several years, my two young boys have been coming with me to "bird dog." 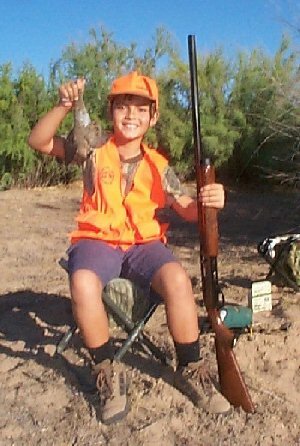 Usually, AZG&F hosts its Juniors dove hunt there on a designated field on opening day, and the Chandler Rod & Gun Club holds a pancake and sausage breakfast for the kids. And for the past several years, even though my kids were not yet ready to participate themselves in the Juniors hunt, we've been stopping in to fill our bellies after I filled my limit. But this year, the Juniors hunt was being held the weekend after opening day, so we knew that there would be no pancake breakfast waiting for us. 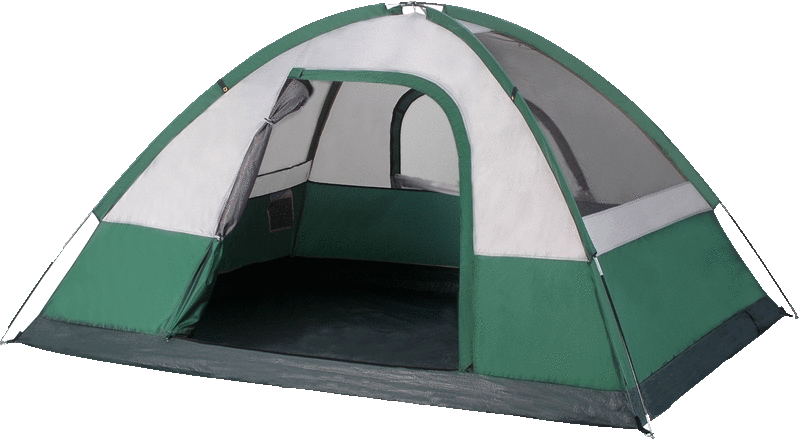 Dale Saverud would be coming with us this time, and we decided that we would cook up our own pancake breakfast in the field after we limited . . . or the birds stopped flying, whichever came first. I keep a simple game diary, recording some minimum data about which gun took what game on what day with what load under what circumstances. Review of my hunting records revealed that the Remington M1100 LT-20 which I bought for my wife had not taken any game since the 1995 dove hunt. (She had one bad experience with 20 gauge recoil with a different gun, and I never could convince her to try the 1100.) So it was decided that the Remington autoloader would get some long overdue exercise on doves. 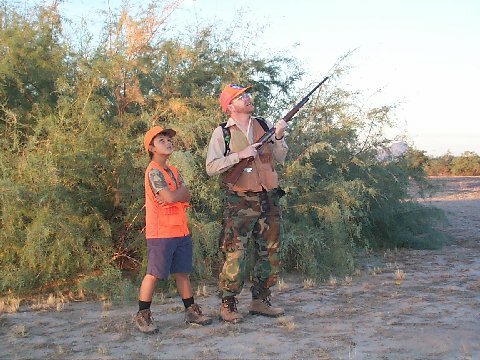 My oldest son, Bennet, is 10 this year, and even though he says he still isn't ready to shoot a shotgun, I convinced him to bring his 20 ga. Mossberg M500 Bantam, just to get used to carrying it, and to try swinging it empty on some doves as they flew past. My younger one, Sammy, is a different story. He's 7, gonna be 8 in January. He's been shooting my .243 since he was 5. He's fired my .54 cal. muzzleloader, though with a reduced load, and he now wanted to try shooting a shotgun. I figured that Ben, being the older one, would be the first to shoot a shotgun. So that's why Ben has a Mossberg Bantam and there is no designated shotgun in the family armory for Sammy. As usual it seems, we arrived at our spot a little late - but only about 10 minutes this time. We hustled to find a shooting position away from the other hunters who had already staked out their positions on the field. The doves were flying pretty good, but they were mostly Whitewings. The limit is 10 birds, no more than 6 of which could be Whitewings. So after downing 6 Whitewings in a row, I was done. I'm not good enough to be able to tell the difference between a Whitewing and a Mourning dove in midair. Dale had taken two Mournings plus 4 Whitewings at that point, so he still had a couple more opportunities. So now we had an opportunity to let Sammy try shooting a shotgun. Dale had found some ¾ oz. 20 gauge loads at Walmart, so I threw one of those into the 1100 and told Sammy to take a shot at that there bush. He squeezed the trigger - BLAM! - it rocked him back, but he said, "It's not that bad." "Well do you want to hunt with it?" "OK"
So I sat him down on a stool, and sat myself down on another stool behind him. After a while a couple of doves flew by - BLAM! BLAM! He missed. Now keep in mind that this is a full size adult gun with a 28" barrel. It's no youth gun. A little while later, another flight of doves passes by, close enough for a shot. BLAM! To my utter astonishment, it falls out of the sky! Sam had taken his first dove! But wait, it gets better. A short while later, Dale had chalked up his 6th Whitewing, so we headed back to the truck to start cooking breakfast. With Dale cooking up sausages and bacon, and me on pancakes, we soon had whipped up a wonderful morning repast. What is it about cooking outdoors that makes food taste so wonderful? All the while we were cooking and eating, the doves kept flying over us in ones and twos. There were chores to do back at the truck. There were doves to clean, and there was breakfast to clean up after. I think I was on dove number 4 when I heard BLAM! I look over to see what Sammy's up to, and there he is, walking over to pick up his second dove! But wait, it gets better. So now there's one more dove to clean - I get mine done, and Dale gets his doves done. We finish cleaning up after breakfast, and we pack up the truck and start driving out. Our spot is about 7 miles of dirt road off the highway. About half way out, I suggest that before we get on the highway, that we should stop and take care of one last nature call. So we stop, do our business, and yes, we notice that doves are flying pretty consistently down the small dry stream bed we've stopped near. "Hey Sammy! The doves are flying pretty good here. Do you want to hunt a little?" What do you think his answer was? We picked out a spot, defined a safe shooting zone, and Dale, Ben, and I sat down on the tailgate to see if Sam could do it again. Sammy started getting frustrated because the doves he was seeing were flying on the other side of the truck from where we sat him down and pointed him. He wanted to move, but I told him, "You know, as soon as you move over there, the doves are gonna start flying right there where you're at right now." "I know, I know." But he wanted to move anyway. He did, and just as Dad said, the doves were flying right over the stream bed where he was parked moments before. So he switched back. And in about 5 more minutes, his opportunity came. Two doves were loping along, flying right up the stream bed. Sam stood, pointed, pulled, and dove number three crashed into a thorn bush on the other side of the stream bed! Three birds outta the air! First time with a shotgun! Despite how I told the story, every shot didn't result in a downed bird. There were some misses. But my guess is that about 40% of his shots connected! That's a hit percentage that any dove hunter could be proud of! When asked how he was doing it, he said, "I shoot just a little bit in front of them, just like you told me, Dad." When do kids listen to their parents? Despite his little brother's successes, we could not convince Ben to shoot either his Mossberg or the autoloader. He's quite recoil shy. All kids are different. He'll be ready when he's ready, and that is that. So the ol' 1100 got to chalk up an additional 9 doves on its success record in 2001. Even Ben's Mossberg Bantam got to chalk up its first success. Dale took one of his birds with the little Mossy. Dale was also shooting a 20 gauge - his old family heirloom Winchester Model 12. That old gun is fixed choked full. One dove that Dale shot with his Winchester at close range was unsalvageable. When he picked it up, there were two wings, some legs and a head, held together by some strings. The entire midsection of the bird had pretty much been vaporized. Nevertheless, Dale kept one wing from the bird as part of his bag limit. And Game & Fish was checking hunters' bags as we drove out. So as you can probably guess, this will go down as one of the most memorable dove hunts in Martinez family history. The shooting was good, breakfast was good, and an excellent time was had by all!